Another school year has come to an end. For many parents, it's a time when they realize that their child is one year closer to going to college, which, in turn, means it is a year closer to having to pay for higher education expenses. 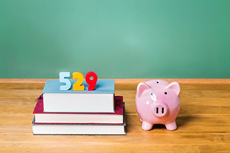 One way to save for college is to open and fund a 529 College Savings Plan. Named after the section of the federal tax code that governs them, 529 plans are tax-advantaged programs that help families save for college. Selecting a plan requires homework. In general, there are two types of 529 plans—prepaid tuition plans and college savings plans. Every state offers at least one 529 plan—and a consortium of private colleges also offers a 529 plan. The tax advantages, investment options, restrictions and fees can vary a great deal. Before choosing a 529 plan, find out about the particular plan you are considering, and be sure you understand the plan's description of fees and expenses. Request an offering circular or official statement from the plan sponsor or your financial professional. Most 529 plans provide this document on their websites, where it may be called the "Disclosure Statement," the "Plan Disclosure Document" or something similar. For information on the 529 plans you are interested in, you can find links to most 529 plan sites on The National Association of State Treasurers' College Savings Plans Network website. This article focuses on 529 college savings plans. You can find information about 529 prepaid tuition plans in our Saving for College section. With 529 college savings plans, students of all ages can save for most college costs. Covered expenses include tuition, fees, room, board and textbooks required by the school. Recent changes to 529 legislation also include computers (including tablets) and peripherals, such as printers and education software, as covered expenses. Withdrawals from college savings plans can be used at most colleges and universities throughout the country, including graduate schools. Some foreign educational institutions also may be eligible. Many states now offer at least one college savings plan that has no residency restrictions. For example, you can live in Ohio, contribute to a plan in Maine, and send your child to college in California. However, if your state offers state tax advantages to residents who participate in the local plan, you'll miss out if you opt for another state's 529 plan. When you invest in a college savings plan, you pay money into an investment account on behalf of a designated beneficiary. Contributions can vary and are only limited by the maximum and minimum contribution limits set by most plans. Most states also offer flexible minimum contribution limits. Many require a $250 initial contribution with subsequent contributions of as little as $50. These minimum contribution amounts can be reduced even further in many states if you make contributions through payroll deductions or automatic transfers from a bank account. Although the maximum contribution amount differs from state to state, in the majority of states offering college savings plans, the maximum amount that you can contribute for one beneficiary exceeds $250,000. To further increase the amount of contributions you can make, you can open a second college savings plan in another state. Currently, the IRS only requires that contributions for one child cannot be more than the amount necessary for the qualified higher education expenses of that child. So if you want your child to go to an expensive college and graduate school, one option you have is to open more than one college savings plan. Many states also offer non-age-based investment options, allowing you to select portfolios with conservative, moderate and aggressive asset allocations. Some states also offer investment options that allow you to invest in certificates of deposits (CDs) which protects your principal and whose interest rates are linked to an index that measures the average cost of college tuition. The IRS allows you to change your investment options once every calendar year in a college savings plan and when there is a change in designated beneficiary. All 529 college savings plans have fees and expenses. Not only do these charges vary among 529 plans, but also they can vary within a single plan. Like mutual funds, a single college savings plan may offer more than one "class" of shares to investors. Often referred to as A, B or C classes, units or fee structures, each class has different fees and expenses. You can look at the offering document to see if a particular college savings plan offers more than one class. Higher fees and expenses can make a big difference in the value of your investment over time. Let's say you invest $10,000 in a college savings plan with a return of 8 percent before expenses. With a plan that had annual administration and operating expenses of 2 percent, after 18 years, you would end up with $27,880. If the college savings plan had expenses of only 0.65 percent, you would end up with $35,548—an additional $7,668. Use our expense analyzer to compare how sales loads, management fees, underlying fund fees and other plan expenses can impact returns. Our College Savings Calculator can help you see how early and regular saving can make your money grow. When estimating future college costs, remember to factor tuition, room, board and books into your calculation. If you know where you want your child to go to college, but don't know the current costs, you can use the National Center for Education Statistics' school locator to research the costs. Subscribe to our Investor News newsletter for more information about saving and investing.